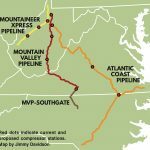 Construction remains halted on most of the Atlantic Coast Pipeline’s route and on some of the Mountain Valley Pipeline’s route due to a slew of legal issues. Residents along the path of major new and proposed interstate fracked-gas pipelines share their stories. 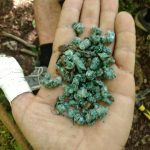 Last September, Mountain Valley Pipeline contractors dropping anti-erosion pellets by air missed the site by a half-mile, pelting Neal Laferriere and his children and irreparably damaging their farm. 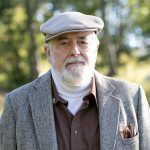 Construction on the Mountain Valley Pipeline continues in places, despite continued legal challenges. 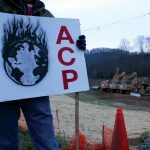 Atlantic Coast Pipeline construction is halted in all three states as projected costs balloon and legal troubles escalate. Arietta Ann DuPre’s land and her neighbor’s land in Wayside, W.Va., serves as a home for rescued horses and other animals – and in early 2018, Mountain Valley Pipeline developers cut her horses’ pasture land in two. 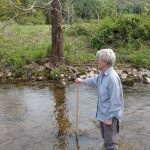 Numerous lawsuits have led to a complete halt to construction on the Atlantic Coast Pipeline and at Mountain Valley Pipeline water crossings as protests against pipelines continue to spring up. 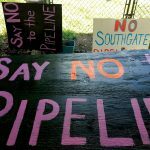 Local residents are monitoring pipeline construction along the routes of several major projects. Some people are checking on the health of impacted streams, and others are deploying aerial surveillance. 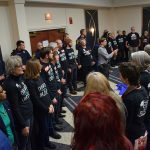 The 73-mile expansion of the controversial fracked-gas Mountain Valley Pipeline into North Carolina has drawn criticism from residents and regulators alike.